Everyone seems to be juicing for health these days, but to get the full benefit and right nutritional value takes skill and knowledge. 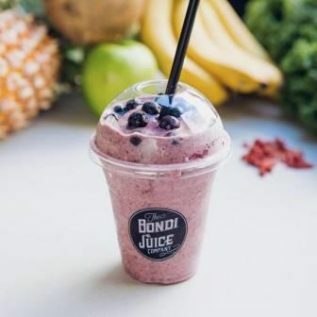 The people at Bondi Juice have that in spades and that’s why their drinks are not only delicious but also optimised for nutritional goodness. Magnesium, potassium, iron, folate acid, fibre, vitamin A may not sound appetising, but put them in a green smoothie with the likes of kale, spinach, mint, apple, pear and a whole lot of other fresh fruit and vege combinations and it’ll be so delicious, you’ll hardly believe it’s healthy!